Discover Our Highly Versatile Island! If you have read about Tenerife, there is one word that you would have constantly found in the descriptions: variety! On this island there exist various climate zones, a great diversity of landscapes, numerous cultural influences and, of course, innumerable attractions. 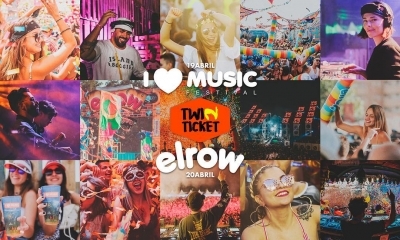 There are so many things to do in Tenerife that you simply wouldn’t know which to choose first! But, not to worry, we will help you! We’ve prepared an overview of the 10 best points of interest in Tenerife. We will help you to make sure that you don’t miss out on the most beautiful places and sights of the island. Three of these attractions can only be found here on Tenerife (these are marked with a star *). 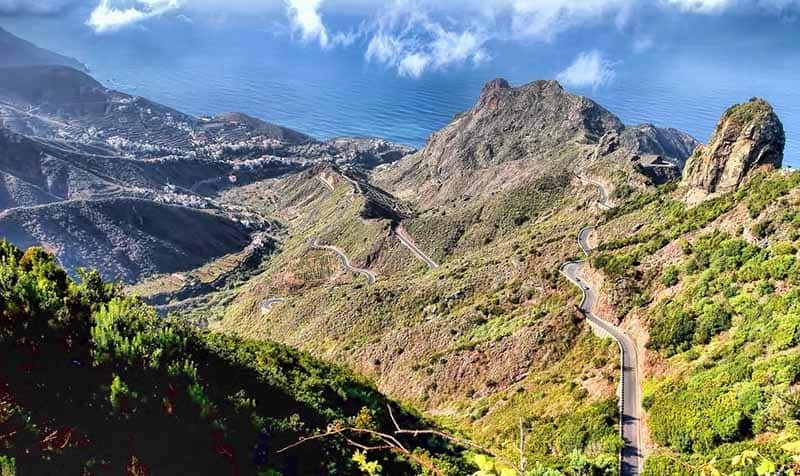 In this way, you will be able to plan your excursions much easier and therefore you will not miss the most important sights of Tenerife. The aborigines of Tenerife, known as “Guanches”, called him “Echeyde”, which means hell. For them, this was a place with evil forces. 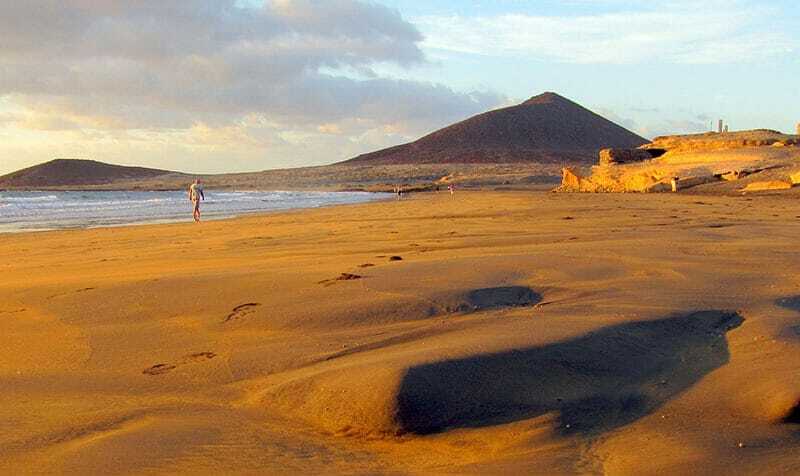 Nowadays however, “El Teide,” which has a height of 3718 meters, is better regarded as the highest mountain in Spain and the third highest island volcano in the world. If you want to have a really special experience however, you have to visit the national park. It has a huge amount of diverse rocks, bizarre rock formations called “Paisaje Lunar” (Moon landscape) and gigantic plants with red flowers which rise like lighted candles out of the ground to create an overwhelming atmosphere. Do you want to fly to an even higher game? Then get the cable car (“Teleférico del Teide”) to reach the top of the volcano. 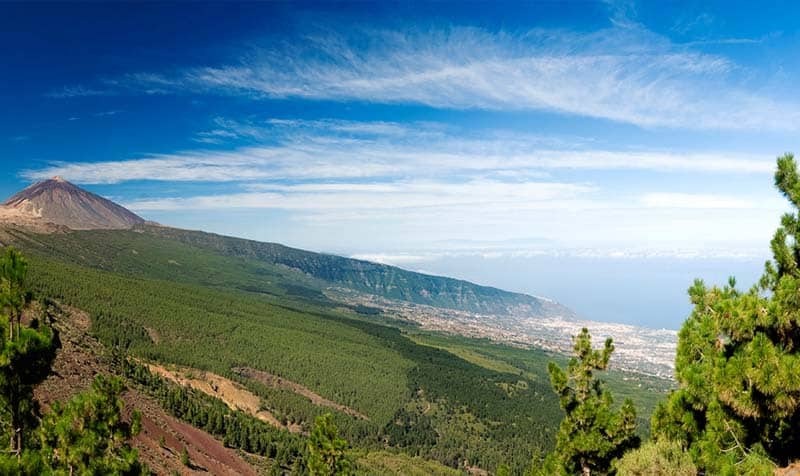 At a height of 3555 meters, you will have an amazing view over the neighbouring islands of Tenerife. The Teide and his national park belong to the UNESCO World Heritage. The beauty of this giant is one of the sights that you can only experience here in Tenerife! 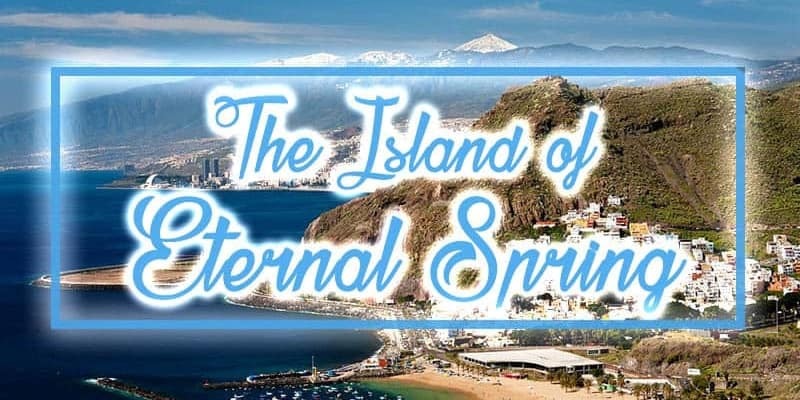 – Definitely one of Tenerife’s top tourist attractions with more than 4.000.000 visitors per year! Isolated from civilisation, this small village can only be reached through a very narrow street. 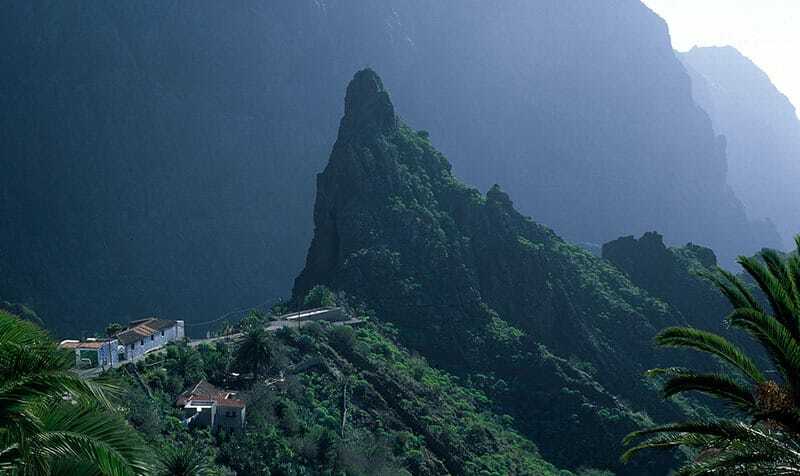 Masca sits above a gorge which shares the same name (“Barranco de Masca”) and is located in the mountains of Teno. Around 100 residents live in this picturesque location. For a unique experience, take part in the four-hour walking tour which passes through the gorge of Masca. Fig trees, Canary date palmes, agaves, almond trees and burbling streams can be seen on your way to the beach. This excursion is frequently mentioned as being one of the most beautiful hiking paths on the island. 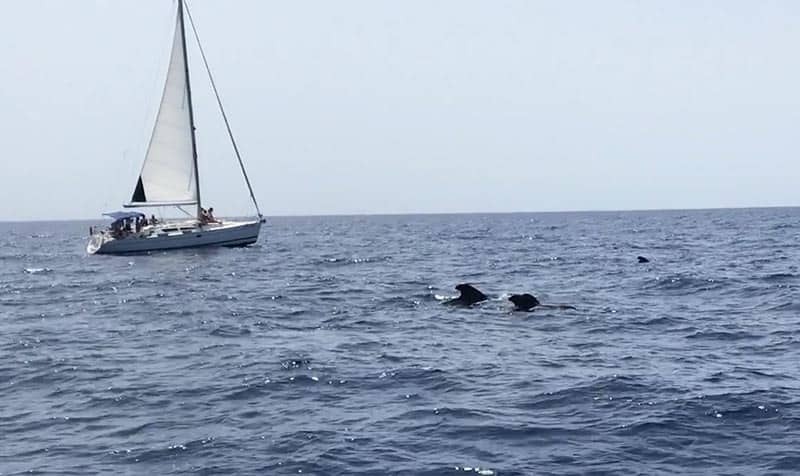 After arriving at the beach, you will be able to take a ship or kayaks to Los Gigantes (with luck you can watch dolphins or whales) or you can return by foot on the same path. Taganana is situated on the most nothern point of Tenerife where there are high cliffs and an incredible view of the ocean. With a wild, romantic landscape filled with rocks, Taganana also has beaches, and terraced fields as well as historical Canary architecture. 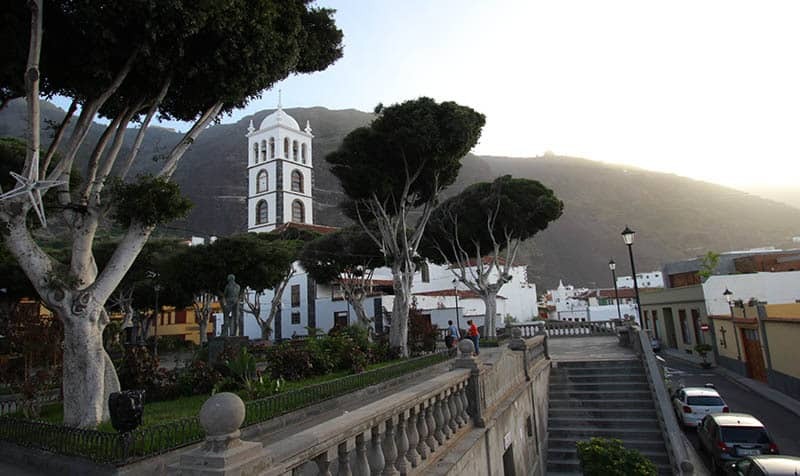 The small city in the middle of the mountains of Anaga is really worth the visit! Taganana was founded in 1501, and is therefore one of the oldest cities on the whole island. Taganana also has one of the first churches of Tenerife which is known for the precious triptych in the prayer room. Taganana is perfect for hiking. In this area you will find a lot of hiking paths that lead to the surrounding green mountains. Enjoying the original and wild nature of Tenerife, you will be able to relax completely from everyday life. You can also go to the beach of San Benijo which is one of the most popular areas to take pictures. At this location high rocks rise out of the water. 500 years ago Garachico was founded by Italian merchants and eventually became the economic centre of Tenerife. 200 years later however, the whole city, including the port, was buried by a volcanic eruption. The church and the monastery of Garachico were the only structures to be spared. Today you can visit them and other historical buildings like the harbour fortress “Castillo de San Miguel”. In Garachico today, you will find lovely restored buildings and grand city halls. The inner city is a car free zone and contains little, hidden parks, such as the “Rincón de los Poetas”. On the promenade you will be able to take a bath in the natural swimming pools which are made of solidified lava. Garachico received its name from his emblem, which is a huge rock that looms out of the water in front of the city. The Guanches called it small island (“Igara” means island and “chico” small). This nice city should definitely be on your list of places to visit in Tenerife for a relaxed stroll in the afternoon! “Los Alcantilados de Los Gigantes” are the second highest cliffs in Europe. They are 500 meters high and are nearly vertical. The aborigines called them evil walls because originally they would prevent invaders from accessing Tenerife. Of course you can find zoos all over the world. But the Loro Parque was recently elected as the best zoo of Europe and gives the concept a completely new meaning. It all started in the seventies with a small parrot park (“Loro” is the Spanish word for parrot). The small park has become a combination of magnificent animals and has the biggest parrot collection in the world. The zoo houses around 350 different parrot species and you can meet most of them in a spectacular show where they perform tricks and fly over the visitors’ heads by a hair’s breadth. 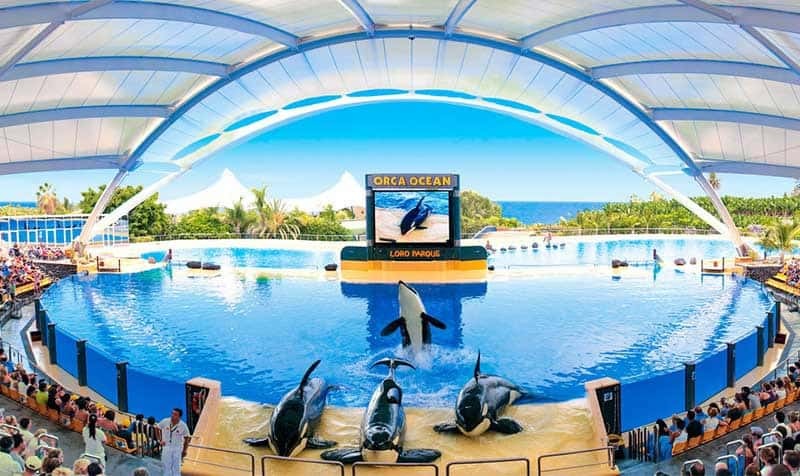 You also can visit a lot of other shows in the Loro Parque – the sea lions will make you laugh, the dolphins will astonish you and the orcas will splash you. Furthermore, there is a shark and a penguin aquarium, a collection of jellyfishes, a hike through the treetops and lots more. It’s a must-see in Tenerife! 27.000 years ago, the Pico Viejo – the second highest volcano beside the Teide – erupted, and the lava froze into three tubes creating three different platforms. One of these tubes is 18 kilometres in length and therefore forms the biggest volcano tube in Europe and the fourth longest of such cave in the whole world. 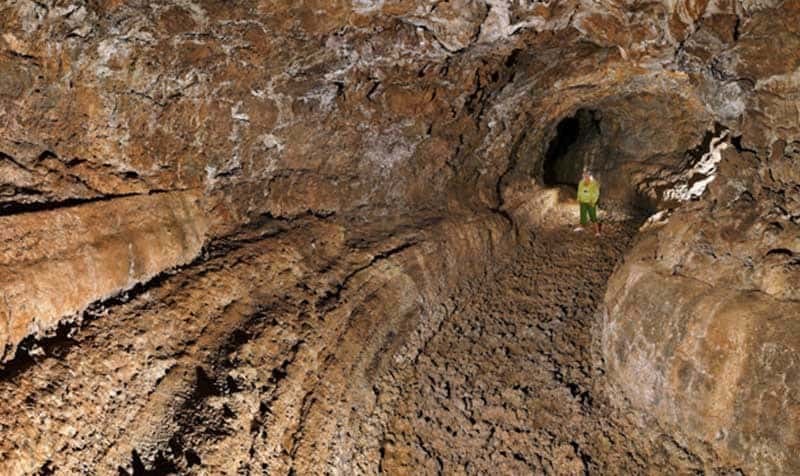 The best of all: 200 meters of this lava tube which is near Icod de los Vinos, is accessible for visitors! The fascinating guided tour takes two hours long and introduces you to a world with lava formations, deep hollows and rock galleries. In addition, the “cave of wind” (the name comes from the strong airflows in the canal) is famous for its rich fauna. Various new species of animals were discovered here. Don’t miss this adventure! One tip: Firm footwear is important. 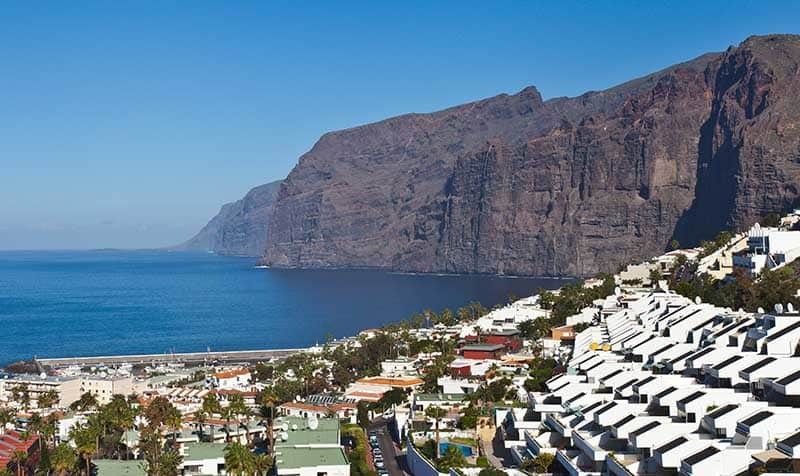 Take on one of Tenerife’s most poular excursions and discover the shores of Los Gigantes! Be a part of the Atlantic Ocean for a couple of hours. It’s not rare to see dolphins and whales along the way. There are numerous companies offering 3 – 4 hour long trips. You can choose between sailing boats, catamarans, small and big ones and if food and drinks should be included. Often you are even able to go for a swim in one of the numerous bays along Tenerife’s south coast. A perfect activity for the whole family! Los Gigantes is also the place where you can do Jet-skiing, paddle boarding, kayaking, snorkelling, scuba diving, canoeing, quad and ATV tours – all kinds of sports you can imagine. Do you love the sun, beaches and good food? Is your passion surfing and being in an easy-going atmosphere? Then the city El Médano is perfect for you! El Médano is one of the world’s best destinations for sailboarding and kitesurfing. Here the wind blows strong for the whole year which makes it an ideal location for numerous international surf competitions. Even though El Médano is the centre of worldwide attention, don’t worry because it has still his snugness. Various small bars, fish locals, tight alleys and a very nice beach promenade invite you to stay. With unique flair, you will be able to really enjoy the sun of Tenerife, admiring the sunsets in the homely bars. Easily one of the best beaches in Tenerife! The biggest waterpark in Europe, the worldwide best water leisure park, the biggest artificial wave of the world – all these titles describe the fantastic Siam Park in Thai style which has a size of 18,5 hectares. 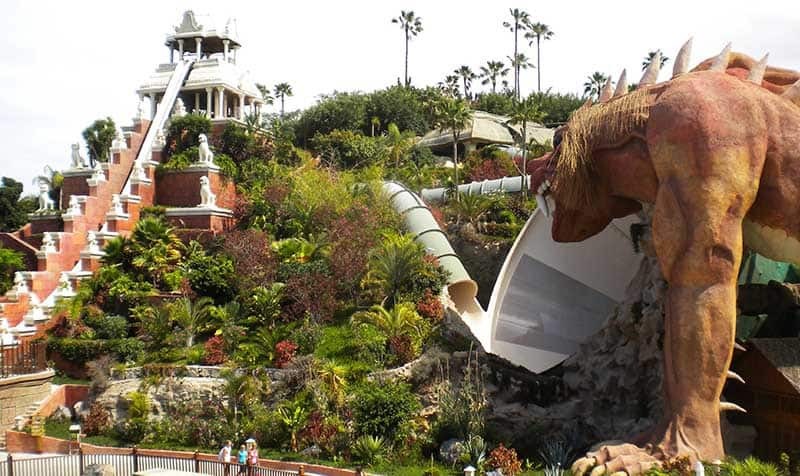 The Siam Park offers a lot of exciting chute attractions, the longest of which is “Lazy River” or a chute with the biggest dragon statue of the world. The highlight is the 28 meters high chute, known as the “Tower of Power”, at the end of which you will find a big aquarium with sharks and rays. At the entrance sea lions will be waiting for you. One day at the Siam Park is quite an experience. This park belongs to the unique attractions that only Tenerife offers! 349 queries in 3.534 seconds.